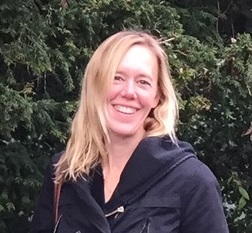 Lisa Elges is a leading climate and environmental governance policy analyst. As Head of Climate Policy at Transparency International, she has authored numerous articles on the integrity of climate and carbon finance and serves as the represents TI and provides policy advice at the International Panel on Climate Change, the United National Framework Convention on Climate Change, the Green Climate Fund, the Global Environment Facility, the Adaptation Fund and the Climate Investment Funds. As a human rights lawyer, she has written the book on Stratospheric Ozone Damage and Legal Liability: US public policy and tort litigation to protect the ozone layer. She is a certified anti-money laundering specialist and holds a B.A. from International Christian University, Tokyo, Japan, an LL.M. in International Human Rights Law from the University of Essex, UK, and Doctorate in Political Science at the Freie Universität, Germany. She has three children and lives and works in Brussels and Berlin.